Satin Finish. 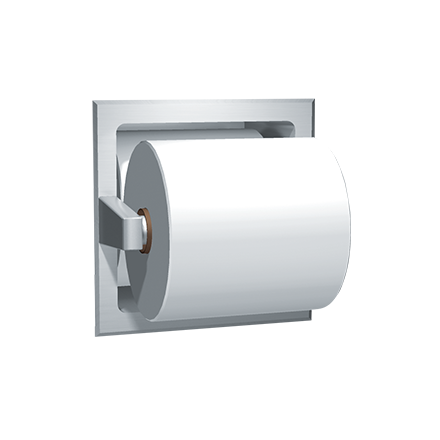 Holds two (2) rolls and dispenses one (1) roll at a time of standard core roll toilet paper up to 5-1/8″ (Ø130) diameter rolls. Box holds one (1) extra toilet paper roll in reserve. Spring-loaded roller is chrome plated high impact resistant ABS plastic and revolves freely. Reserve roll is protected from access until roll in-use is completely exhausted. Spring-loaded spindle holds roll until core is removed.